The whiskey presents a big floral, almost botanical nose. There’s a mild sweetness upfront followed by a rich nutty caramel and subtle flavors of vanilla. The uniqueness of this whiskey creates quite a special base spirit in cocktails. We spent some time with Sons Of Liberty’s cocktail maestro, Ian Single crafting (and drinking) some Lovecraft Hopped Whiskey inspired cocktails. 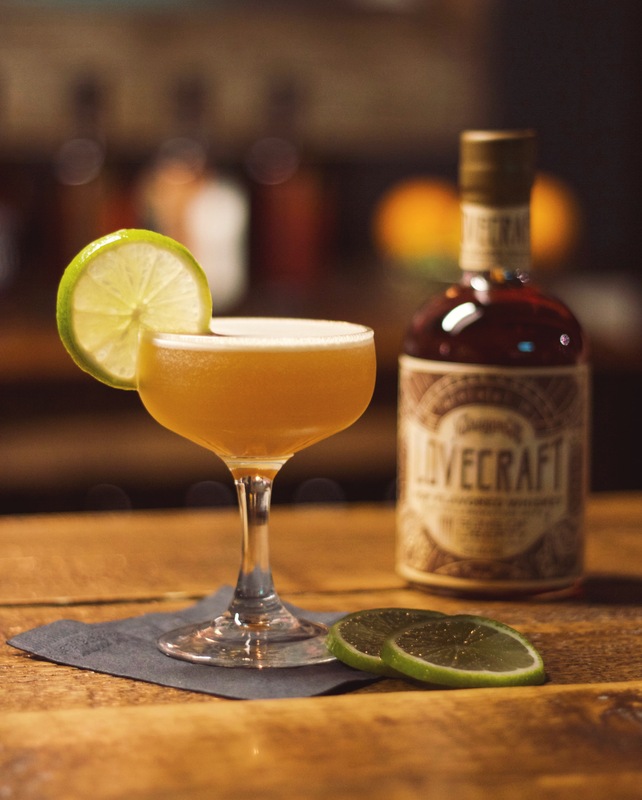 Visit our RECIPES PAGE for a list of Ian’s cocktails made exclusively for Lovecraft Whiskey!